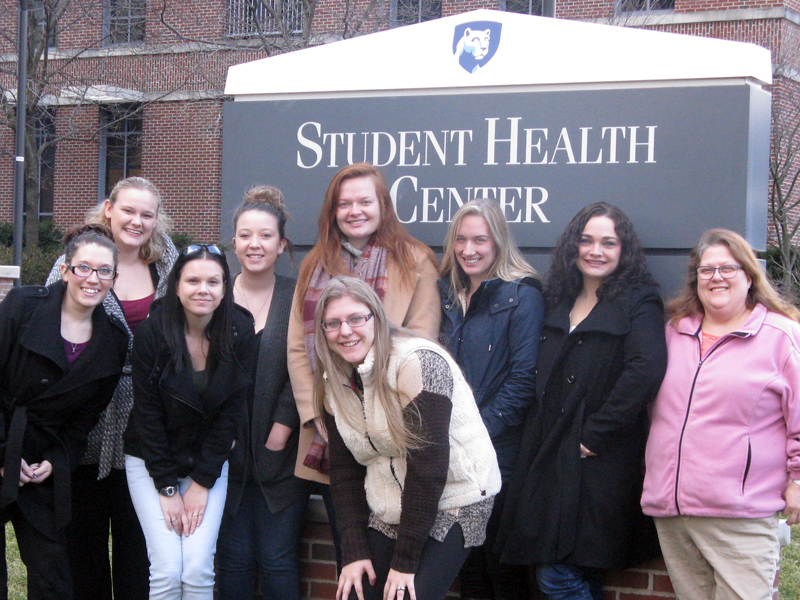 Some of the students enrolled in our Administrative Medical Assistant program posed together outside the Student Health Center at Penn State during the 2017 PSU Days – Part 1 campus tour. 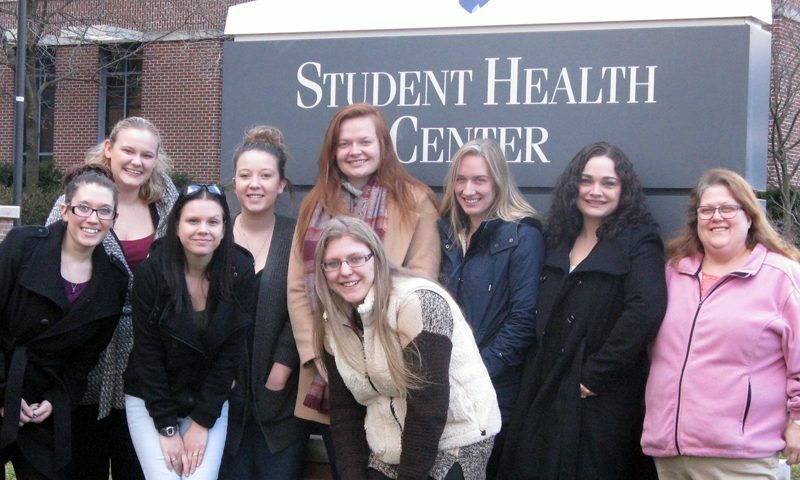 Since 2000, second-year students from all three South Hills School of Business & Technology campuses have participated in “PSU Days” events sponsored by the South Hills Career Services department. The alliance between South Hills and the Pennsylvania State University was formed to give South Hills students the opportunity to explore internship opportunities at PSU, which subsequently helps the university find quality, well-trained employees for its administrative offices. Each specialized associate degree program at South Hills requires students to complete an internship before graduation. Hundreds of South Hills students have completed internships and/or have been hired as employees of Penn State since the establishment of the SHSBT/PSU partnership. Last month, more than 80 South Hills students marked the beginning of the “Internship Season” at South Hills with PSU Days – Part 1. The day began with a guided bus tour of the PSU campus at University Park. The focus was on the buildings that house key administrative offices such as the Shields Building which features the Bursar, Office of Student Aid, and Undergraduate Admissions and the Office of the Physical Plant. 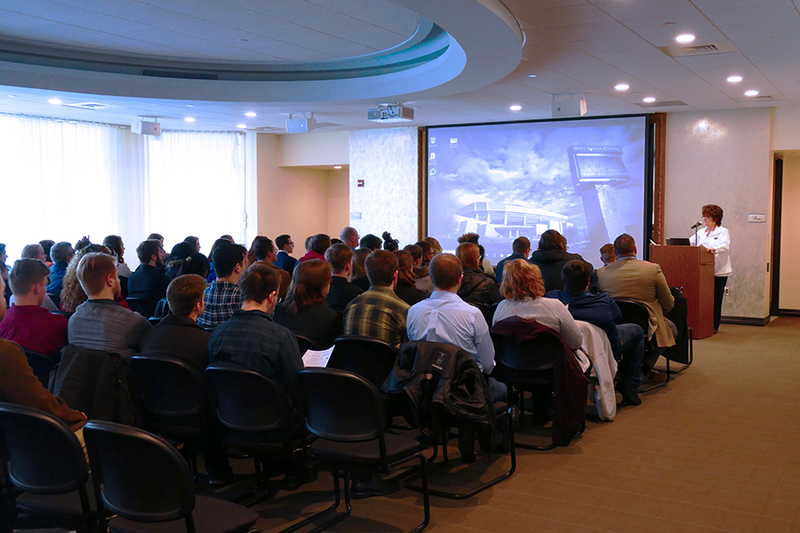 After the tour, the students were taken to the Founders room in the Bryce Jordan Center for several informational presentations. 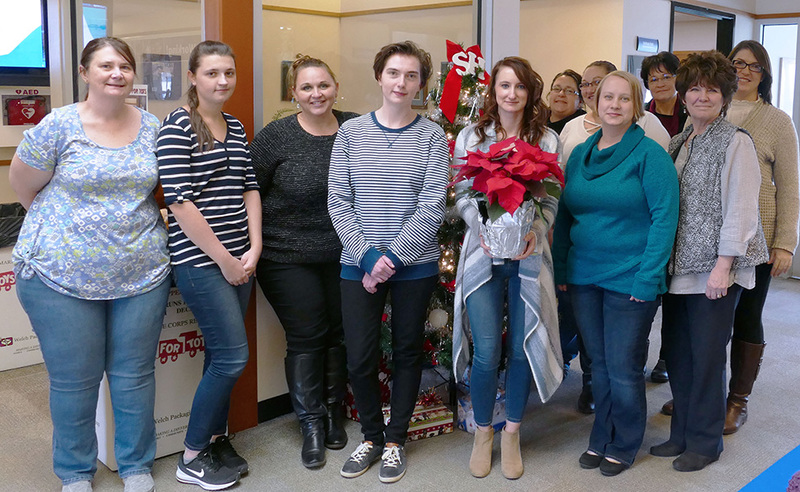 Ellen Spinelli, Career Services Coordinator for South Hills, described the placement services available to them at South Hills. Afterward, Claudia Snyder, Marketing Communication Account Specialist from The Smeal College of Business Executive Programs, explained the internship experience at Penn State. Following Snyder’s presentation, two 2016 South Hills graduates who have both gone through the entire internship and hiring process at PSU shared their experiences. 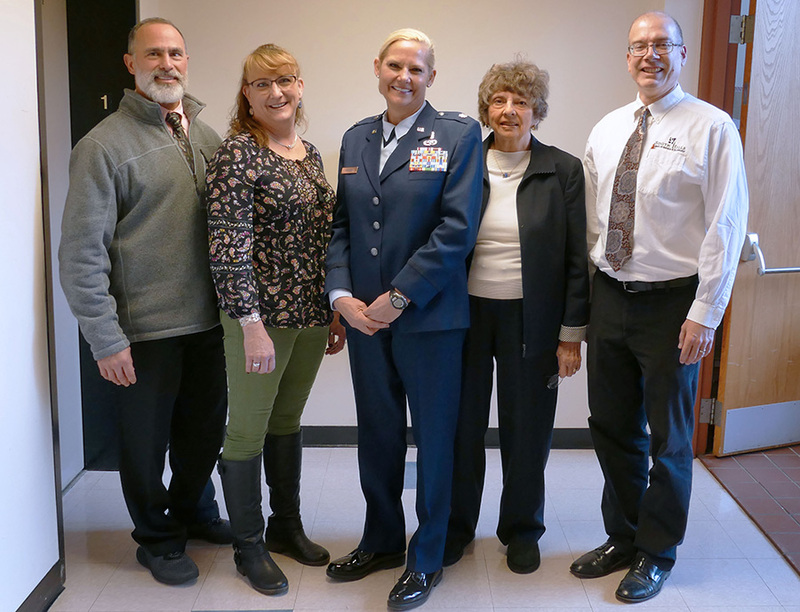 Amanda Ryder, Administrative Professional graduate, talked about her job with the Office of Sponsored Programs, and Bryan Butler spoke about what it’s like being an Information Technology graduate working with the Clearinghouse for Military Family Readiness at Penn State. The day concluded with Madhavi Kari, Talent Acquisition Specialist at the PSU Office of Human Resources, guiding the students step-by-step through the process of applying for a job at Penn State. March 29th – South Hills Career Services will host the first of two Network Career Fairs at Mountain View Country Club. April 24th – South Hills Career Services will host the second Network Career Fair at South Hills Altoona. April 18th – South Hills will host Penn State departments for the annual PSU Days – Part 2: Internship Fair at South Hills in State College. In addition to PSU Days, South Hills holds two Network Career Fairs annually to give students the chance to connect with dozens of local employers as they seek the internships they need to graduate. As the students distribute their resumes, they get a unique opportunity to network with the South Hills alumni who represent several of the local businesses in attendance. Employers interested in finding an intern or hiring a South Hills graduate should consider attending one or both of our Network Career Fairs in State College and Altoona. To reserve a space for your company, fill out the Network Career Fair Employer Registration form.